Police officer, municipal official, businessman. Born in Perth County, Ontario on 24 July 1850, son of Joseph Hamilton, he taught school for four years before coming to Manitoba with his father and brother in 1872, homesteading south of Gladstone. He then served three years in the North West Mounted Police under Colonel Jarvis. He then farmed for a year then constructed bridges for the RM of Westbourne, after which he was treasurer and tax collector for the municipality. He opened a general store at Gladstone in partnership with John A. Davidson. Later, when the line of the Canadian Pacific Railway had been surveyed west of Gladstone, they moved the store to the future site of Neepawa and also operated a grist mill there. The partnership dissolved in 1882, with Hamilton taking the mill. He later engaged in real estate, insurance and financial agency and he owned over 1,300 acres of farmland. He was a stockholder and director of the King Edward Hotel. In 1880 he was married to Isabella Hamilton of Ontario. They had five children: Ada B. Hamilton, Effie Adella Hamilton (b 1882), Eva Jane Hamilton (b 1883), Preston Howard Hamilton (b 1893), and Harold W. Hamilton (b 1901). He was a member of the AF & AM (Neepawa Lodge) and the Orange Order. 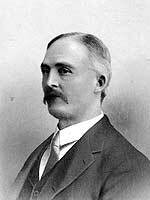 He was the first reeve of the municipality and the first Mayor of Neepawa. He was a member of the judicial district board of Portage la Prairie, president of the Neepawa Hospital Board, and a strong advocate for temperance and prohibition. He died at Neepawa on 20 February 1928. Death registration for J. J. Hamilton and birth registrations for Hamilton children, Manitoba Vital Statistics.